The Cooper Car Company recently required the services of Mini Sport Ltd of Padiham in order to resurrect an important piece of Cooper history. The Cooper Car Company still owns the T72 F3 Car that shot Sir Jackie Stewart to stardom after first driving it in 1964, although it has seen better days! This is where Mini Sport came into the equation. Having recently worked with Mini Sport, the worlds premier Mini specialist, to create a new range of Classic Cooper Mini Parts we came to understand the expertise and quality of the company and all the work it does. Mini Sport has been around since the very beginning having been founded in 1967 and since then have supplied spares, engineered many upgraded parts, and restored hundreds, if not thousands of Minis. The standard of the restored Minis was exceptional and they became the natural choice for the restoration of the T72 F3 Cooper. The T72 was the in a long line of F3 cars after Cooper dominated the category in the early 50’s, albeit with front-engined cars. The reared-engined revolution quickly came about and Cooper Car Company remained at the forefront of motor sport, having pioneered this layout in 1955 with the ‘bobtail’, although more for convenience than for weight distribution and handling. In 1959 Jack Brabham became the first to win the F1 World Championship with a rear engined car - the Cooper T51. This feat was then repeated the year after, and every Championship winning car since has been rear-engined. 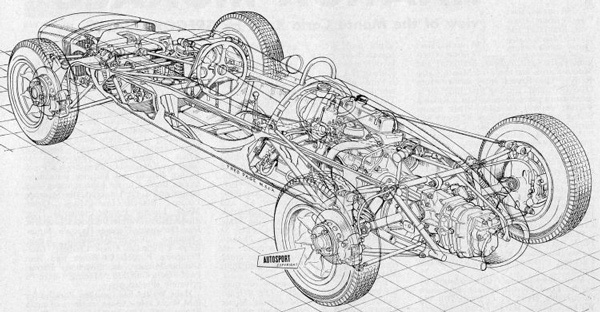 1964 and the Cooper Car Company were now building cars for F1, F2 and the recently reformed F3 Championship. The Cooper Works F3 team was being run by Ken Tyrell who was now looking for drivers for the brand new Cooper F3 Car - The T72 that was designed by Eddie Stait and Neil Johanssen and employed a semi stressed-skin construction, however the engine was a more familiar BMC unit from the Mini Cooper 'S' with a 12.5:1 compression ratio and a single SU HS6 carburettor pushing out a total power quoted as 88bhp @ 7750 rpm. The oil cooler and radiator were combined and the oil tank sat between the radiator and the foot pedals. The gearbox was a modified Jack Knight 4-speed Hillman Imp box fitted with interchangeable ratios. 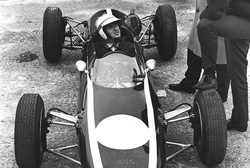 With Jack Brabham having left The Cooper Works Team, Bruce McLaren was now the number one F1 driver for Cooper and it was his job to test the new Cooper T72 and it was on the shakedown of the T72 in 1964 at Goodwood Circuit that two young and enthusiastic drivers were to be given their chance to impress. One of these was John Fitzpatrick (who later went on to win the British Touring Car Championship) was having a trial drive for the Mini Cooper and the other, Jackie Stewart who was then driving for Ecurie Ecosse but hoping to earn a drive under Ken Tyrell in the F3 team. This was Sir Jackie’s first drive of a Formula Car but he didn’t shy away from the challenge and not only matched the then number one F1 driver Bruce McLaren but beat the times he set consistently throughout the day! He was signed immediately and, as they say, the rest was history, with Jackie Stewart becoming multiple F1 World Champion and one of the most famous names in motor sport history. Lets not forget, it all started with the great combination of the Cooper T72 F3 Car and the now legendary Goodwood Circuit. Mini Sport took on the restoration in the summer of 2014 and immediately set about the work by completely stripping it before expertly smoothing the shell, priming and painting it in the original British Racing Green. The mechanics were expertly restored and kept completely original where possible to maintain the cars integrity. The time scale was set as the T72 had to be ready for Goodwood Revival and its reunion with Sir Jackie Stewart, 50 years on from his initial encounter with this very car, and Mini Sport met this with time to spare. 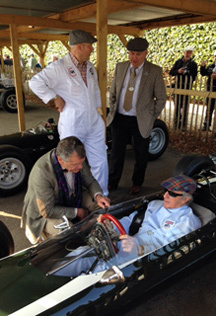 Having been transported south to Goodwood Circuit the historic Cooper F3 racer was carefully unloaded and presented to Michael Cooper before Sir Jackie Stewart himself. 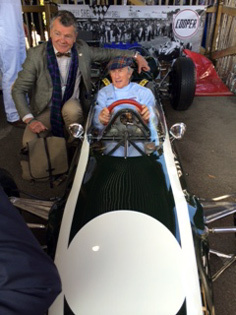 Both Michael and Sir Jackie were extremely happy with the results and couldn't wait to get it on track. Both drove the car over the Goodwood Revival weekend, taking everyone back to the Goodwood heydays where Cooper ruled the motor sport scene. It was a truly great moment and thanks must go to Mini Sport who did a brilliant job in restoring the T72 to its former glory!